The Pentek 143549 Differential Pressure Gauge is designed for the Pentek 3G MM (Meter Mount) Filter Housings. 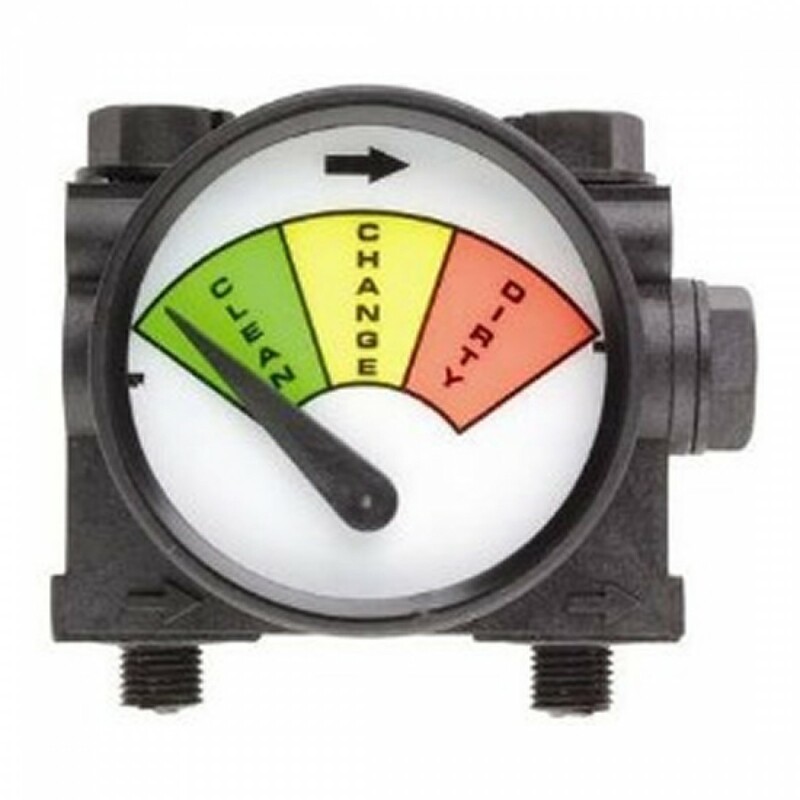 The 143549 Pressure Gauge has a convenient three color design to help determine when to change the water filters. This takes the guesswork out of when to change the cartridge. This Pressure Gauge is easy to install on the sump cap and easy to use with its three color, needle design. The Pentek 3G MM water filter housings come with a spot for this pressure gauge. A pressure gauge MUST be used with the American Plumber and Pentek 3G MM housings because of the pre-configured holes in the top of the housing.